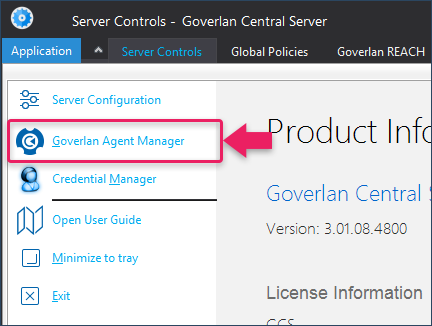 Once the GRS is configured, started and advertised, Goverlan Services on any machine will be available as long as it is running the Goverlan Reach Client Agent. 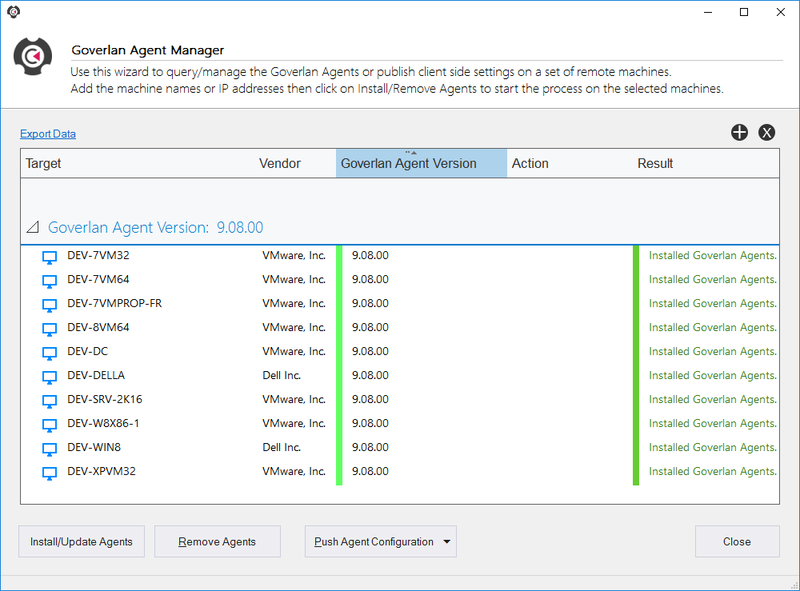 The Goverlan Client Agent is a secure, low-footprint, un-intrusive and stable agent that can be started on-demand or installed as a service when unattended system access is needed. 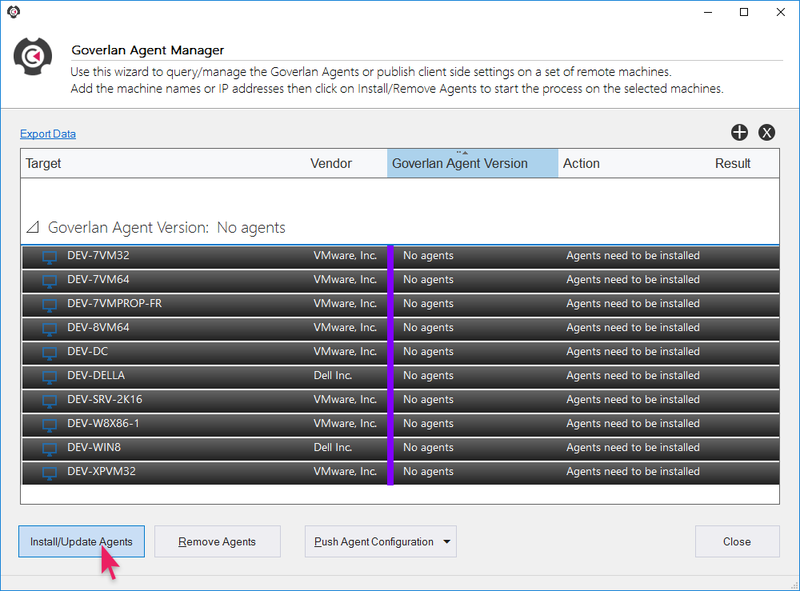 Use the following instructions to push the Goverlan Client Agent as a service on remote machines. Pre-installing agents are required when configuring a remote client site with Reach Services. For private corporate networks, this is optional as the Goverlan software can remotely maintain the agents on an as needed basis. Configure a set of machines to process by selecting an Active Directory Domain, an IP range or individual machines. Select all machines within the view and click on Install/Update Agents. Once the Goverlan Reach Gateway Services have been configured and started, any machine can be remotely accessed over the internet if configured for your Reach Authority. This is done by sending an Assistance Instruction email to a remote user to have them start the Reach Client. 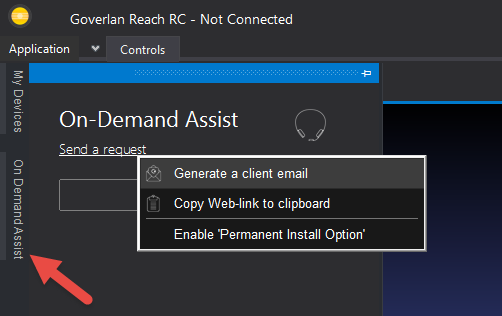 Click on On-Demand Goverlan Reach tab that is under My Devices on the left column of the Console, click Send Request then select Generate a client email. Once the remote user receives the email and runs the downloaded executable, the user will be prompted to choose an execution mode. Instruct the remote user to enable the Authorize Permanent Access option then click on the Provide Unattended Access button.